This service connects to your Jotform account and back-ups all your forms&submissions to our databases. You may then browse your submissions and your forms from here. 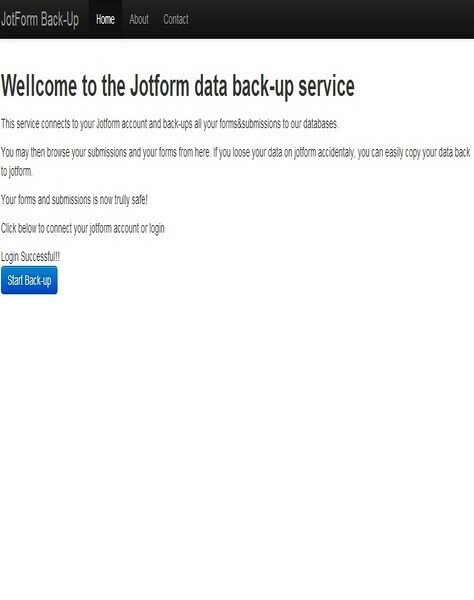 If you loose your data on jotform accidentaly, you can easily copy your data back to jotform. Your forms and submissions is now trully safe!